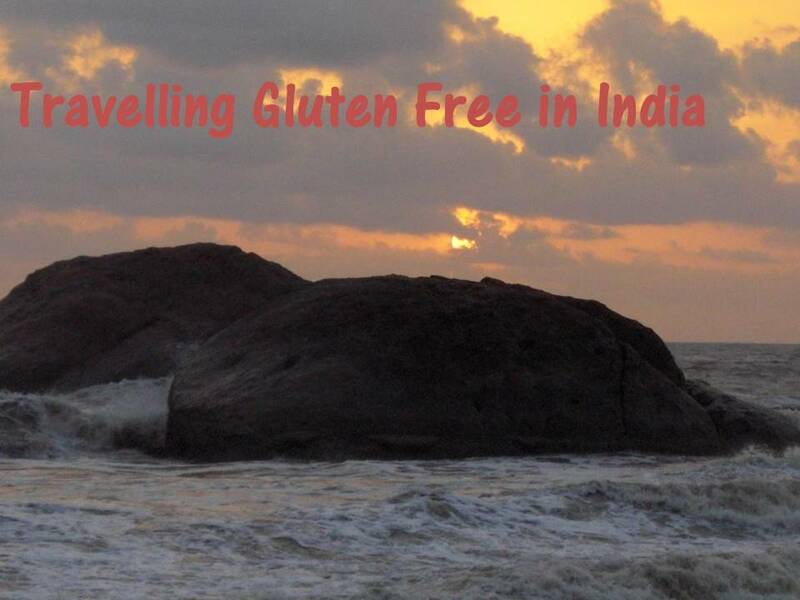 So you have a corporate job in India and you have to travel for work, or you just love to travel for leisure or you are a parent whose child is Celiac, but you dread travel because of gluten trouble? Well, let see how you can work around that. The very mention of ‘travel’ used to psyche me particularly when I was a newly diagnosed Celiac. I was clueless what to do and these questions haunted me – what should I tell people, Will I get anything to eat, will they understand ?! Well,I figured with time if I planned well ahead – I would not have a problem. Other than the usual booking tickets, do a little research and find out more about the place you are travelling to. If it is a City in India, then it will be a lot easier, A tourist spot might be a challenge! First of all take things with you which have a longer shelf life, so that if you’re stranded at an airport, bus/train gets delayed or your car is acting up , you know you have food. 1. Pack small pouches of nuts – Walnuts, Almonds, Raisins, Cashew or any other nuts you have handy. It is a handy power food and is packed with nutrition. Walnut is the healthiest of the lot, Raisins are high in sugar but a couple of them here and there are not to worry about, do not go overboard though. 2. Carry gluten free cereal like Soulfull or Post or anything available because you know you can at least have breakfast without a problem. If you are lactose intolerant carry small packets of soy milk or any other milk which stays. Pick up rice thins or krispbread, cookies/biscuits or if you are lucky some long life bread. Always great to have in an emergency situation when you cannot have anything else around. I tend to make my own bread and cookies/biscuits and carry it along nowadays you do get them ready off the shelf in most metro cities or if you live in places where access to them are limited you can always order on http://www.foodbury.com, http://www.zotezo.com, wheafree.com plan and order a little ahead, so it reaches before your trip . Remember when all else is not there, Fruits will always ensure you do not unnecessarily stay hungry. 3. If you are on work – Almost all Hotels in India or offices have rice on their lunch menu. If you are at a Conference at a Hotel – Ask to speak to the Chef, most of them will guide you through what is safe, but please mention little bit of wheat/maida is a NO NO! Because many restaurants thicken their gravies to cater to a large numbers. 4. You can keep a couple of packaged ready to eat foods with you . MTR has a couple of ready to eat foods which are naturally gluten free like the rice based products, as when enquired they did say it was gluten free and I have used a couple without a problem. 5. The best bet is to stay in a serviced apartment, where you can fix your own meals. 6. If you plan to stay with a friend/relative, call them up ahead and tell them you would be bringing some stuff and would it be ok if you cooked ? or brief them about what you can have and cannot. Doing this will avoid panic among your hosts and by doing so you will not be offending them. 7. Staying in a Hotel, call ahead, tell them about your condition, some will agree to make sure you get something to eat, others also migh might allow you to use their kitchen. Some Hotels/Resorts allow you to bring your own induction cook top and food, especially if you mention you are a parent with Celiac Kids. 8. In big cities, know where stores like Foodhall, Nature’s Basket, Dorabji’s(Pune), Gourmet West in Westside stores or such Organic/Gourmet stores are as you can always get stuff from there instead of lugging it around. With regard to tourist destinations – Goa has 2 supermarkets – Newton’s and Orchard which has ready-made flours and gluten free products. Most of the 5 star Hotels make gluten free bread everyday. The German bakery and couple of other places make some good gluten free stuff too. Goan food except for the sausages is also mostly gluten free and of course a great holiday destination. Hotels/Resorts in Hill stations tend to be allergen aware than most city restaurants, one of the reasons could be the huge number of Foreign tourists visiting these places. Keep important medication with you like antihistamine or anything else you usually carry and also an important report from your doctor which says you are Celiac, why because in case anything untoward happens it will help getting you immediate proper attention. If you are travelling abroad, call 24 hours before hand and book a gluten free meal with your airways. Many airlines serve fish for gluten free meals so if you are vegetarian specify you want a gluten free vegetarian meal. Pretty much follow the same pointers and it tends to be much easier travelling abroad gluten free. UK, US, Australia, parts of Europe are free from food haven for Indian Celiacs, Hong Kong too. The Gulf countries have stores which sell gluten free products. African food again is high on natural gluten free ingredients, so yes generally you should be ok.
With a little bit of planning and the Willingness to Ask and Explain, you will not have a problem . Do not let sneaky gluten come in your way. And if you are visiting Bangalore, just let me know, will help with necessary information! Previous Post Does the Government want people like us to Leave the Country or Die?! I see your gmail id, if that is the one which you use I could e-mail you with specific info in a couple of days time. yes, That would be very nice! You can use this gmail adress , as it is my main adress. Thanks Reetika!Next one will be on eating out. jeeva its really very educative for people who have recently being diagnosed with celiac as many of us feel lost while travelling.which mtr mixes do u use? i am travelling next week , so would be quite helpful.Do they mentiongf ? Thanks Nandini, it is not labelled gluten free but I had spoken and they the majority of their products DO Not have gluten and this what they mailed back to couple of us who has asked. Thank you so much for this list! I am spending 4 weeks in Chennai in September, and have been worried how I will avoid gluten. I am doing a lot of research and came across your wonderful blog. This list is helpful. I am uncertain which brand this is – can you clarify so I know what to look for when shopping? From past 9 years I’m allergic to wheat/maida. Researching on web got me introduced to gluten allery. Can you please tell me, if there is any clinical test that can confirm the disease? Thanks in advance. Hi Bhagyashree, there are tests to figure out if you suffer from Celiac Disease. Ideally this is how it works the tests are ordered by a gastroentologist on the basis of your symptopms. 1. Anti-tissue Transglutaminase Antibody (anti-tTG) test – a simple blood test , if it is positive, then the doctor might order for a gastroscopy/endoscopy and take a biopsy of your small intestine and if you respond positively to a gluten free diet it is confirmed you have celiac. But it is necessary that you do eat gluten when the tests are performed or the tests might not show the true picture. I hope this helps or if you just have an allergy – you could go to an allergy testing center and do a prick test and it will show it. There are 3 manifestations of what we club together as gluten intolerance. There is Celiac Disease – which is a autoimmune disorder, Wheat allergy – which is like any other food allergy and gluten sensitivity or non celiac gluten sensitivity where the body does well without gluten but there does not show up in any medical tests.